(Former) address Burning Sounds Ltd. Recorded at Channel One Studio Kingston J.A. BS 1057 Gregory Isaacs/Dennis Brown - Two Bad Superstars! BS 1065 Patrick Andy & Frankie Jones - Two New Superstars! BSLP 556 Yellowman & Fathead - Divorced! 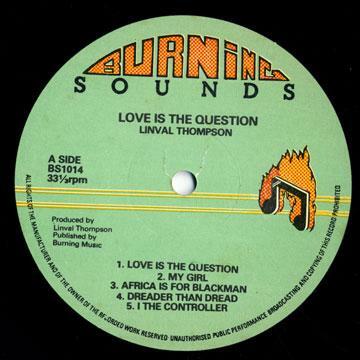 Recorded at Channel One, Harry J and Dynamic Sound Studios, Kingston, Jamaica, W.I. 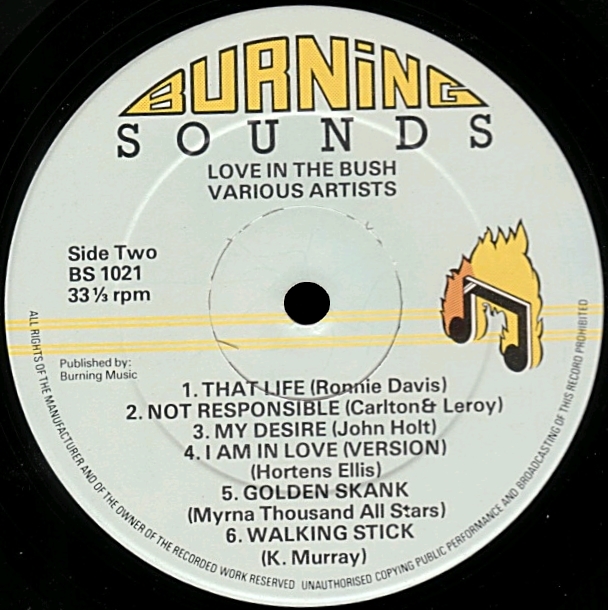 Rhythm tracks mixed by Scientist, The Dub Chemist, at King Tubby's Studio, Kingston, Jamaica, W.I. Mixed by King Tubby & Scientist at King Tubby's Studio, Kingston, Jamaica, W.I. Rhythms tracks played at at Channel One, Harry J and Dynamic Sound Studios, Kingston, Jamaica, W.I.